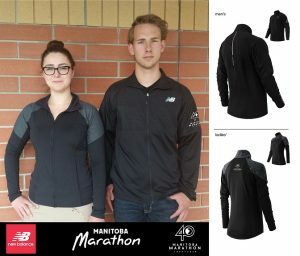 Manitoba Marathon | Commemorative 40th Jacket pre-order! To help commemorate the historic 40th running of the Manitoba Marathon, we have created these beautifully embroidered New Balance technical jackets. 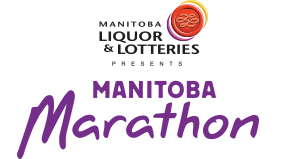 Featuring the Manitoba Marathon 40th logo these pieces are individually designed for men and women. At just $65 + tax, these jackets are a great essential for any runner’s wardrobe and are available for pre-order only. 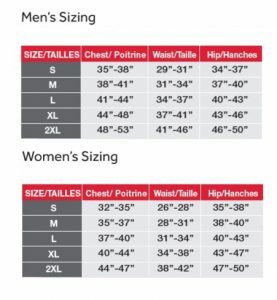 The sizing chart is available below, but sample sizes can be tried on at the Manitoba Marathon office (Unit 4, 1080 Waverley St). – Reflective logo on left chest. – Reflective flying logo on left side at hip level.